The Index of Multiple Deprivation (IMD) is one of a set of English indices of deprivation, and are released by the Department for Communities and Local Government every three to five years. The latest statistics are for 2015, and use data from 2012 to 2013. IMD results are sometimes used as criteria for external funding bids (eg Big Lottery). IMD 2015 is the Government’s official measure of relative deprivation for LSOAs. LSOAs are small geographic areas of approximately 1,500 people, and there are 128 LSOAs in Calderdale. 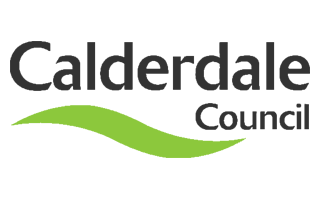 The data is provided at Lower layer Super Output Area (LSOA), Neighbourhood and Ward levels in Calderdale. It shows rank, decile and percentage compared with 38,824 LSOAs in England. IMD 2015 was published in September 2015 and replaces previous IMD publications. More information is available from Department for Communities and Local Government (DCLG) English indices of deprivation 2015 . IMD 2015 factsheets for each ward can be found on the individual ward datasets . Calderdale IMD 2015 infographic showing the key messages from the IMD 2015 with regard to each theme. Calderdale IMD 2015, including thematic map, for the Main IMD (England base). Calderdale IMD 2015, including thematic map, for the income IMD including Income deprivation affecting children index (IDACI) and Income deprivation affecting older people index (IDAOPI). Calderdale IMD 2015, including thematic map, for the Employment IMD. Calderdale IMD 2015, including thematic map, for the Education, skills and training IMD. Calderdale IMD 2015, including thematic map, for the Health deprivation and disability IMD. Calderdale IMD 2015, including thematic map, for the Crime IMD. Calderdale IMD 2015, including thematic map, for the Barriers to housing and services IMD. Calderdale IMD 2015, including thematic map, for the Living environment IMD.